Getting free shipping is just one of the many benefits of becoming an Amazon Prime member. Amazon saves you money on a lot of things. But, if you’re not shopping on Amazon every week/month, it may not be worth the cost to get Prime. That said, nobody wants to pay $3 for shipping on a $5 item. Yes, you can understand paying a shipping fee for something like a mattress or a widescreen TV, but for something small, like a pair of socks or a necklace, it’s pretty annoying. But paying $6 in shipping fee for a $3 mug? 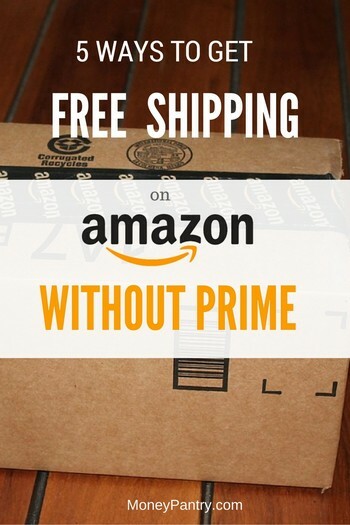 So, how can you get free shipping without Amazon prime? Obviously, if you do buy a lot from the World’s Largest Retailer, get Prime. It’s about $100 a year. You get free shipping on most items, plus access to movies, music, and a few other things. But, what if you don’t want to join Prime? After all, unless you buy multiple items from Amazon each month, it’s not really worth the cost. Fortunately, there are still many ways that you can get free shipping on Amazon, without Prime! And, handily enough, we’ve compiled a list of pretty much all of them here. So, check it out, and never pay for shipping on Amazon again! One of the easiest ways you can get free shipping on Amazon is through the platform’s Subscribe and Save feature. Visit the Subscribe and Save section of Amazon. There, you pick a product that you use regularly. This could be anything from toilet paper to coffee. You can choose products from the categories on the left-hand side of the page, or you can just enter the product you want in the search bar. When you find something you want, click on the “Subscribe and Save” button next to it. Then, each month, Amazon ships it to you automatically, for free. Along with free shipping, you usually get a discount of up to 15% on the item. 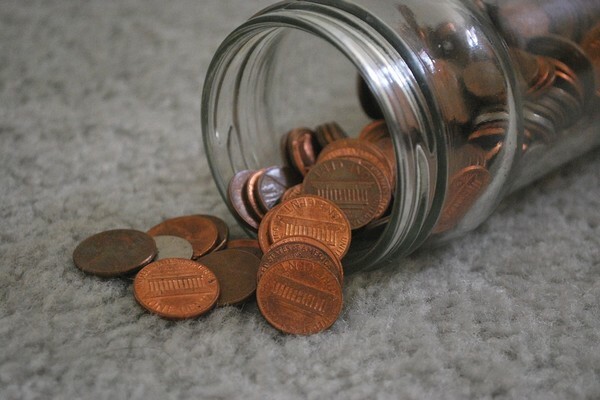 So, it’s a pretty great all-around savings tool. But, it only saves you money if you subscribe to the stuff you actually need each month. There’s no benefit to getting a monthly delivery of something you don’t use that often. So, really consider the things you buy every month, like shampoo, toilet paper, and laundry detergent, for example, and consider whether it would save you money to subscribe to it on Amazon. As I explained in our recent Amazon hacks post, you can actually get free shipping even if you’re not a Prime member. You have to spend more than $49, and your order must contain eligible items. A lot of people find it a bit counterintuitive to have to buy more stuff to spend less on shipping. But, if you do it right, it can work to your advantage. Let’s say that shipping costs you $6.99, and you’ve spent $46 so far. So, if you want to meet the minimum threshold for free shipping, you need to spend an extra $3, so you add a $3 notepad to your order. You qualify for free shipping, and the cost of the notepad is less than the cost of shipping – meaning you’ve saved $3.99. And, don’t worry about trying to find eligible items that net you that free delivery. There are tools out there that do it for you! These tools find Amazon filler items for you. And, ensure that you’re not overspending in the quest to qualify for free shipping. One that you should definitely check out is FillerItem.com. Type in the amount that you still have left to spend to get free shipping. Then, hit enter and you’ll see a list of products that are in the price range that you need to spend. 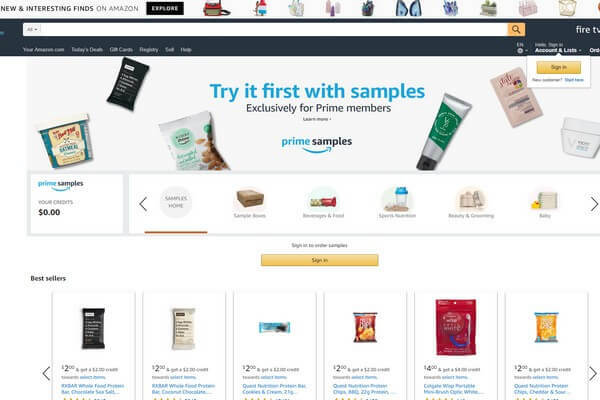 These Amazon filler item finder tools save you the time and effort of searching for products yourself! Plus, you won’t have to worry about which items are eligible and which ones aren’t. While the above method is a great way to meet Amazon’s threshold for free shipping, there’s actually a way that you can reach it without spending an extra penny. All you need to do is add pre-order items to your basket. These count toward the total purchase, but you won’t be charged for them until they dispatch. And, because you don’t have to pay anything until your order is shipped, you can easily cancel these pre-order items at any time! It won’t cost you a penny. You see the minimum threshold for shipping applies to the total cost of the order, rather than what you actually pay for at the time. This means, you could have a $50 order that contains $45 worth of pre-order items and only pay $5 when the order is placed, but you still get free shipping. It is a really awesome trick for reaching the $49 free shipping threshold, without you having to find $49 worth of stuff you need right this second! And, here’s another bonus: You can use this pre-order trick to buy add-on items from Amazon, which you usually have to spend more than $25 to purchase. A lot of people don’t know this, but for many lightweight items, Amazon offers completely free shipping. And, you don’t have to meet any minimum spending threshold. Amazon provides this through its Fulfillment by Amazon Small and Light program. Essentially, this program allows third party sellers to ship certain items for free. Items that are small and light, and generally priced under $10, qualify for free shipping. As a non-prime customer, you get free 6-8 business day shipping with no minimum order requirement. You can usually find items in the Fulfilment by Amazon Small program if you click on the “other sellers” option on a product. If you’re a college student, you probably know many retailers offer exclusive student discounts. Amazon also does that with its Amazon Prime Student program. Ok, it’s technically Prime, but students can get an Amazon Prime membership for just $49 per year, which is about half the price it usually is. And you get the first six months free! After that, you pay $49 a year. Per month, it only costs you about $4. So, even if you only order a couple of items from Amazon each month, it’s still worth it. Students get this 50% Amazon Prime discount for four years. You’ll need a valid .edu email address to qualify. And that is not that hard to obtain if you’ve ever had a student in your household! As you can see, there are plenty of ways that you can get free shipping on Amazon without Prime. So give one of the above methods a try next time you’re shopping on Amazon.